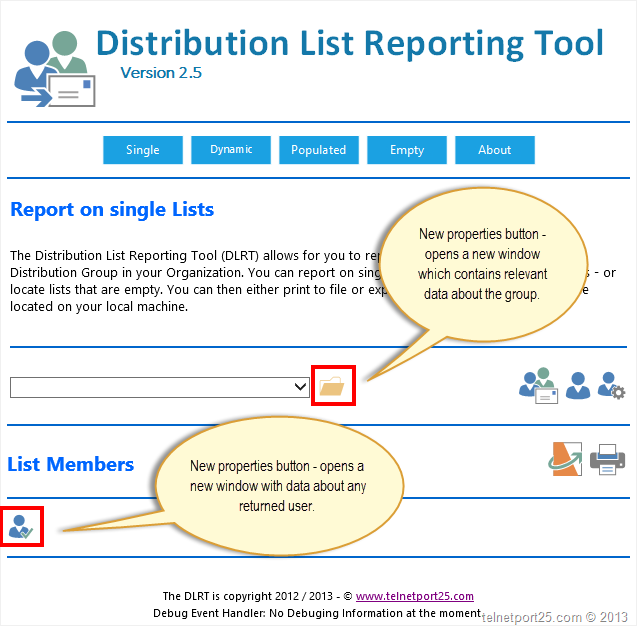 I have been adding a few features to the Distribution List Reporting Tool which I thought that would be useful and I am pleased to announce that I think that it is ready. Hope that you like it. Added in reporting for Dynamic Distribution Groups. Added in view the properties of the Distribution Lists. 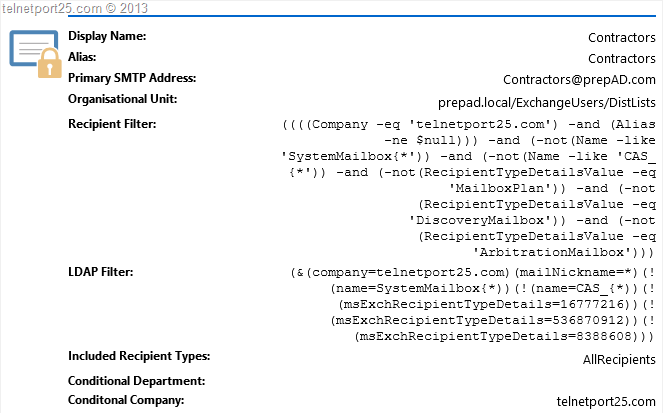 Added in view mailbox properties. Small modifications to the look and feel of the application. The installation binaries below can be used to perform both new installs and upgrade versions (e.g. 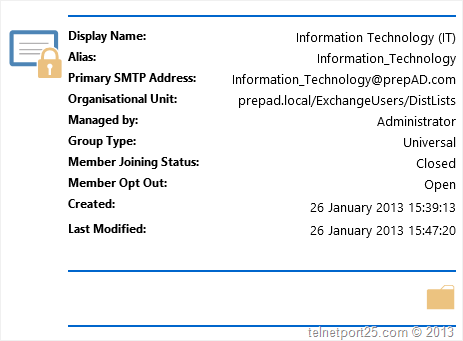 run the setup executable and install over the top) – the IIS and Active Directory configuration remain the same if you have installed a previous version. 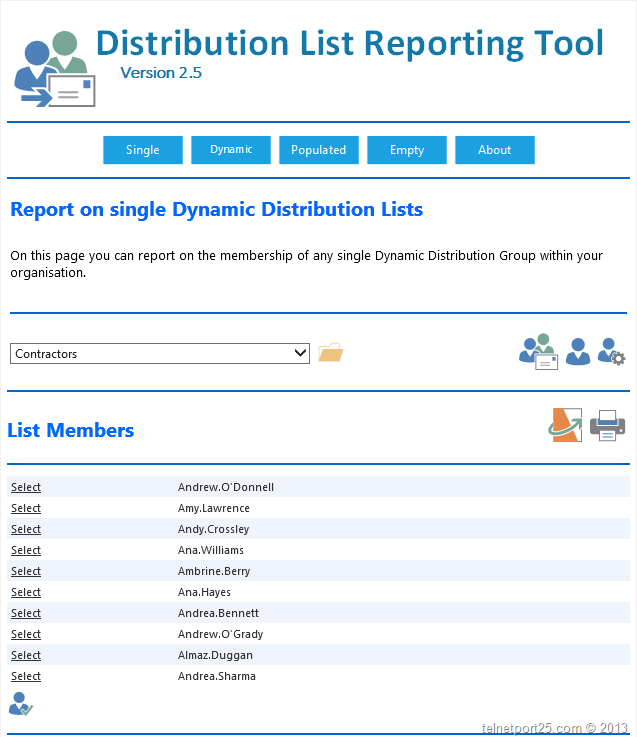 Version 2.5 now includes support for reporting on single Dynamic Distribution Lists. You will see a new button at the top of the screen entitled “Dynamic”. 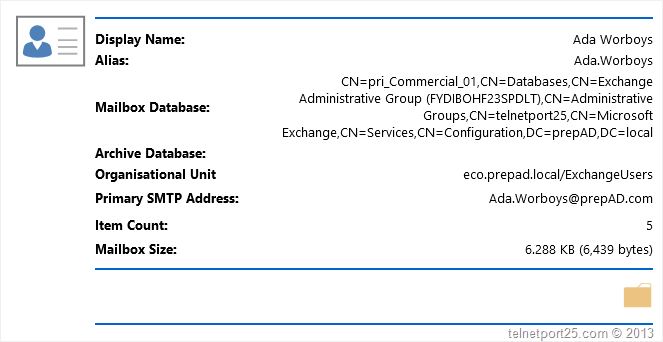 You can also review the properties of a dynamic distribution list by click on the folder next to the distribution list name. You will see that there are a couple of new buttons within the interface – these allow for you to expose relevant properties of both Distribution Groups and Mailbox properties.